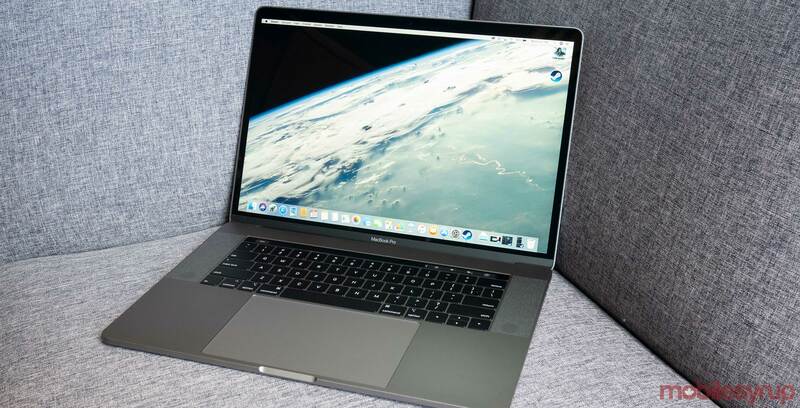 An Adobe Premiere CC audio bug is causing some MacBook Pro speakers to blow, according to reports from multiple users. The bug, which was first reported by 9to5Mac, initially appeared in Adobe’s Premiere CC forum. 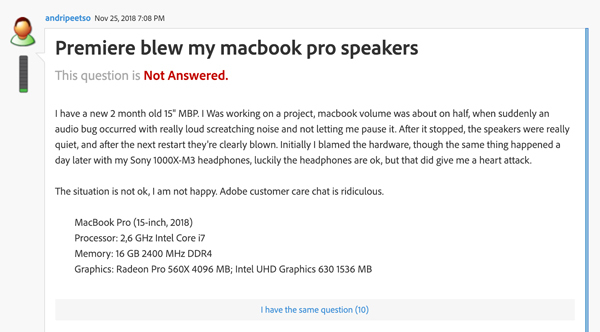 There are multiple users in this thread reporting they are experiencing the same speaker problem. The speaker blowing glitch seems to occur when users run Adobe Premiere CC enhancement tools that clean up audio or enhance speech. Though it remains unclear what is causing the issue, it seems to have something to do with the microphone picking up the speaker’s output and amplifying it, ultimately resulting in the speaker blowing. It’s unclear how widespread the issue is as it stands right now. If you’ve experienced the bug let us know in the comment section below. Update 02/22/2019: Adobe has released an update to premiere that reportedly fixes the issue.